AUSTIN, Texas (AP) — Two convicted felons on the Texas 10 Most Wanted list have been caught in unrelated arrests. EL PASO, Texas (AP) — Officials say an Army sergeant has been charged with murder in the death of his wife on a West Texas military base. EL PASO, Texas (AP) — Two Indian men who were force-fed during a hunger strike inside a Texas immigration detention center are out of government custody. MEXICO CITY (AP) — The weekend killing of a female university student has sparked protests and a four-day shutdown at the University of Ciudad Juarez. FLORENCE, Ariz. (AP) — A Texas man who apologized to the victims has been sentenced by an Arizona judge to 7½ in prison for a shooting on Interstate 10. BERINO, N.M. (AP) — Dona Ana County Sheriff's detectives are investigating the death of a 16-year-old boy who was fatally struck by a car in front of his home in Berino. EL PASO, Texas (AP) — The man accused of shooting a West Texas sheriff's deputy faces an upgraded charge after the lawman died over the weekend. EL PASO, Texas (AP) — A West Texas sheriff's deputy, who was critically wounded Friday in a shooting during a traffic stop, has died. AUSTIN, Texas (AP) — Beto O'Rourke's face has been temporarily enshrined in a Texas field as the former Democratic congressman runs for president. 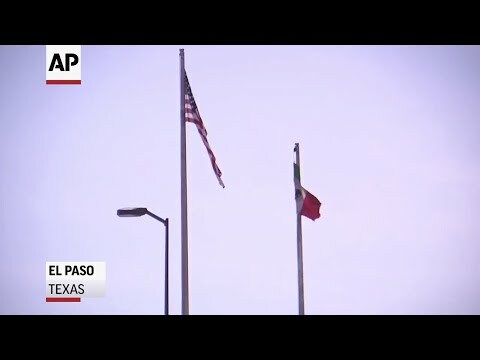 EL PASO, Texas (AP) — Immigration officials say a Mexican migrant died Monday after his arrest near an urban border crossing. LAS CRUCES, N.M. (AP) — Authorities say a five-year-old girl is safe after a New Mexico man stole an unattended running car with the girl inside. AUSTIN, Texas (AP) — Democrat Beto O'Rourke has told a Texas TV station that he's running for president in 2020. ALBUQUERQUE, N.M. (AP) — About 300 migrants are being cared for in Albuquerque, New Mexico, after being released from federal custody in El Paso, Texas. ALBUQUERQUE, N.M. (AP) — Federal authorities say two men have been arrested in Texas in a New Mexico killing in which the victim was shot during a pursuit. DALLAS (AP) — Cedar Attanasio, a multiformat journalist with international reporting experience, is joining The Associated Press to cover immigration from El Paso, Texas. EL PASO, Texas (AP) — The U.S. Border Patrol reports it has taken more than 700 migrants into custody at the Texas-Mexico border in El Paso within a 24-hour period.